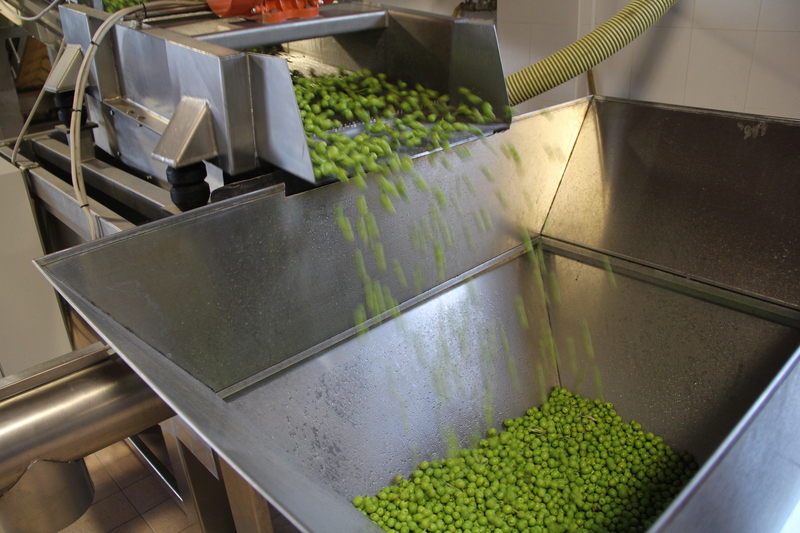 We anticipate our harvest so that our olives are still green when they reach the oil mill, because as they mature, their acidity increases and their natural antioxidants decrease. We have chosen to pick everything by hand even though it is obviously more exhausting and expensive. Accordingly, we are sure that the produce and the trees remain intact. 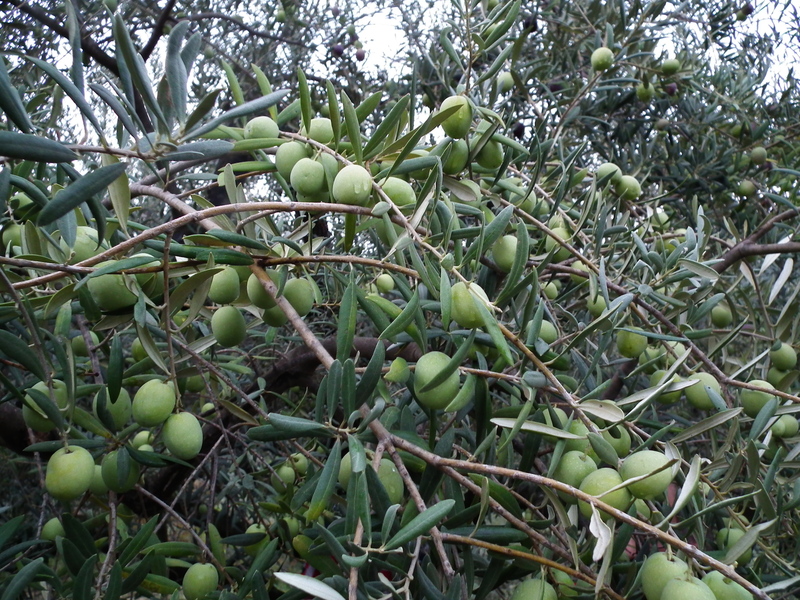 It also allows us to pick the smallest and unripened olives that positively influence the oil’s unique aroma and flavor. 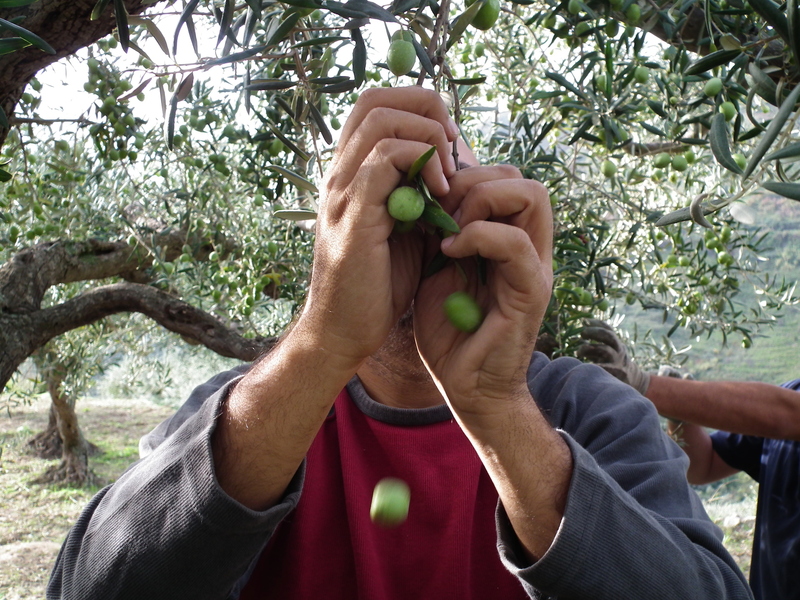 We carefully select the olives. 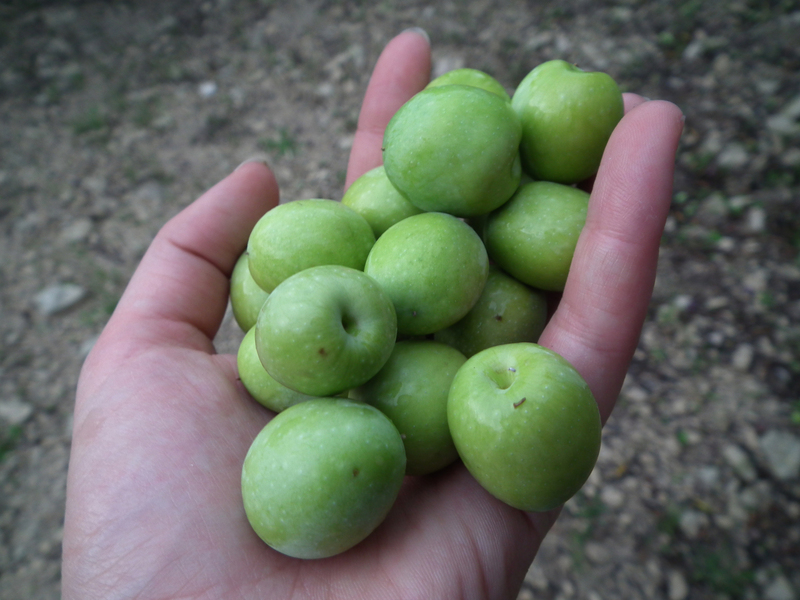 The ones that are damaged, affected by olive fruit flies or are simply too mature are thrown out. 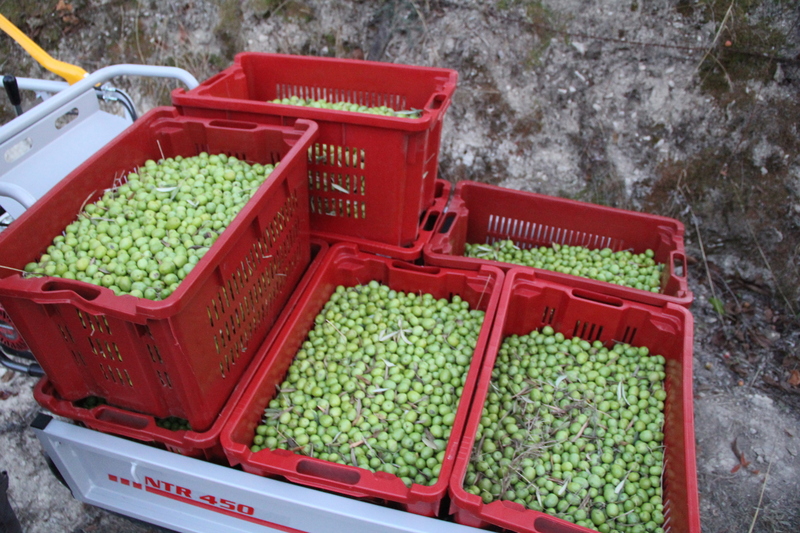 We store our olives only in plastic crates and then in well-ventilated rooms. 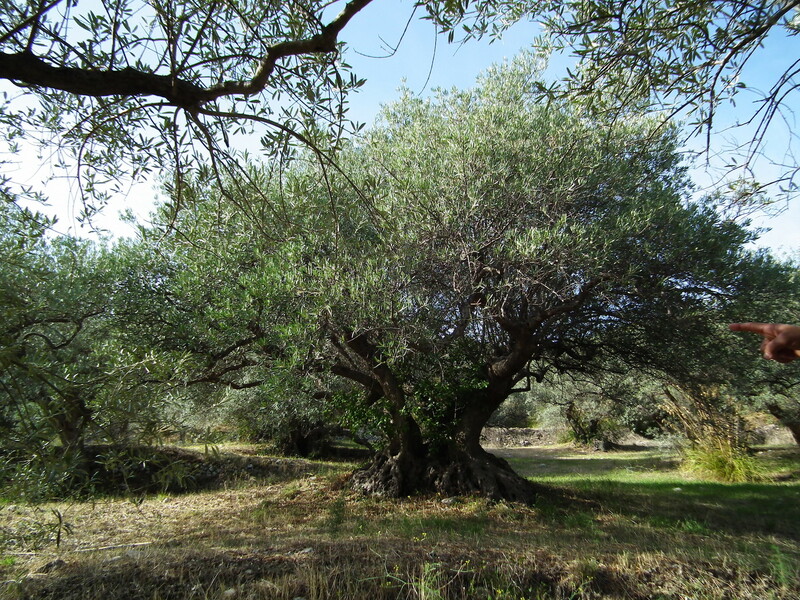 An olive is a fruit that when detached from the plant consumes energy and produces heat. 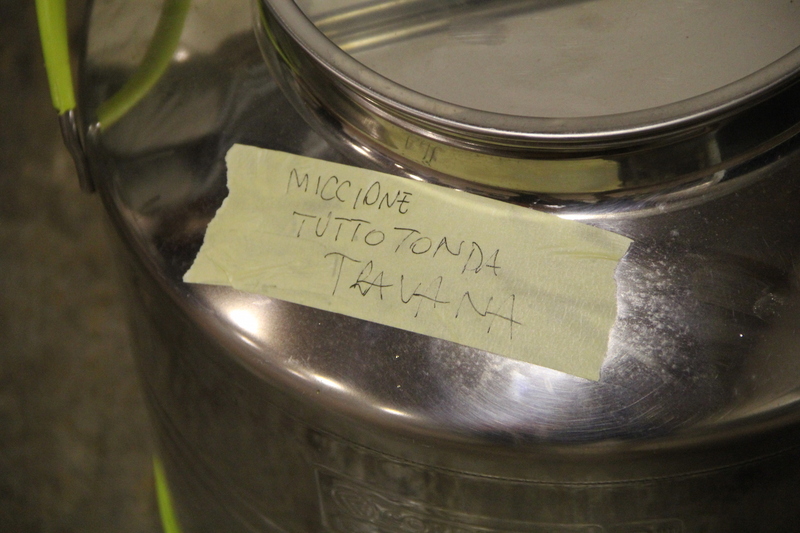 The increase in temperature triggers fermentation, so they must be kept in specific containers where air can circulate. The oil mill cannot improve the quality of the oil but it can definitely damage it. 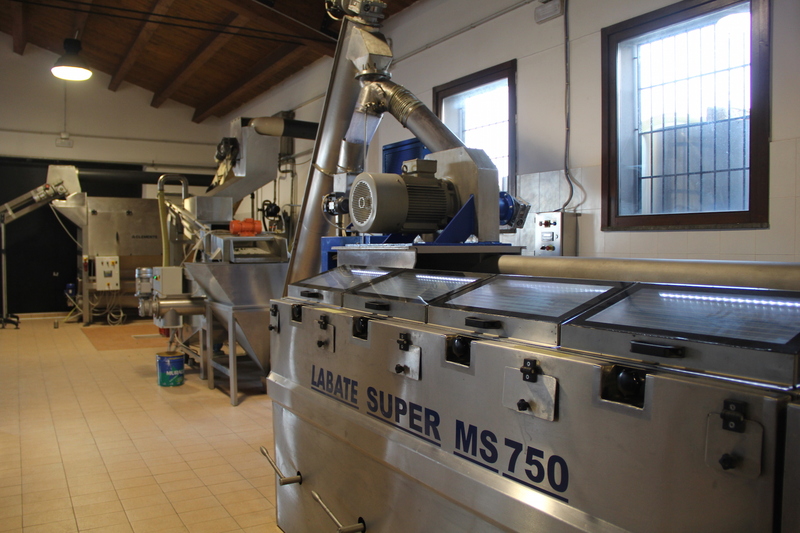 Therefore we ensure that the kneading tanks are constantly kept clean and that the temperature does not exceed 27°. Oil is like a sponge: an unsuitable or unclean container is all it takes to ruin it. Hence we preserve our oil only in tanks made out of stainless steel. We use inert gases (nitrogen) to block oxidation and we keep the temperature of the warehouse under control. 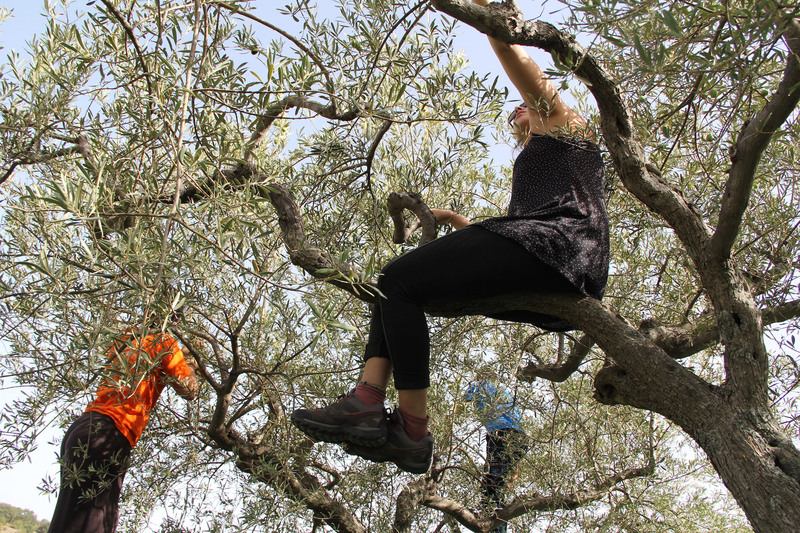 We only use natural fertilizers in our olive groves. 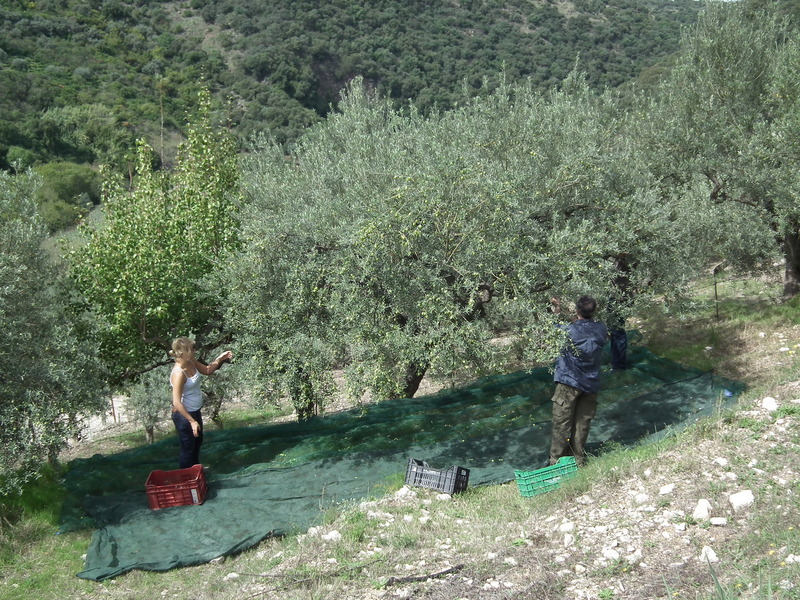 We avoid chemical pest control treatments to fight off parasites and use biological traps to stifle the olive fruit fly. 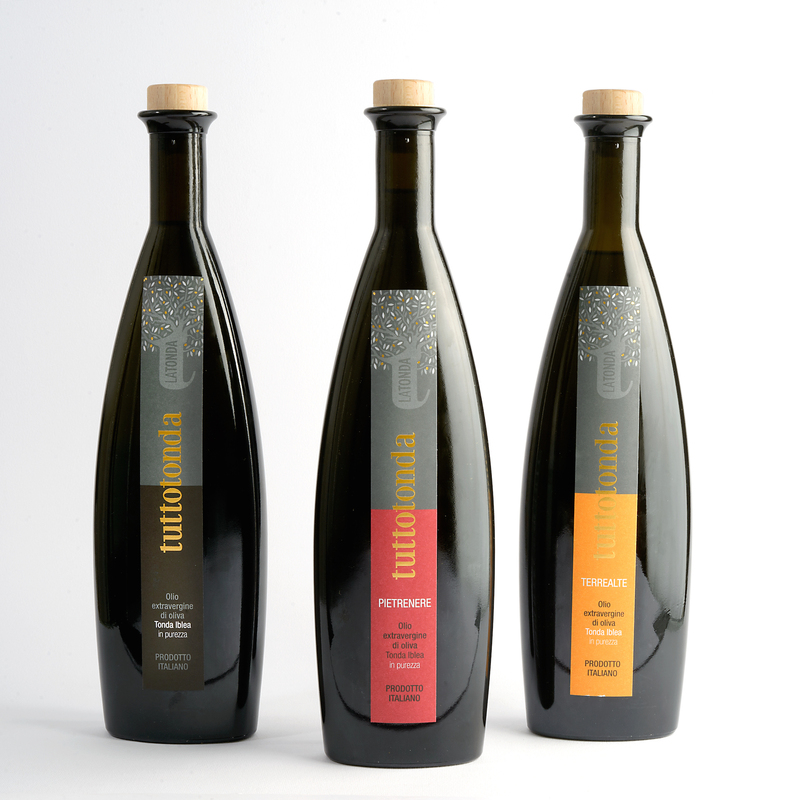 We only bottle the oil that we produce. When we run out of stock, should an order arrive, we simply invite customers to book in advance for the following year.